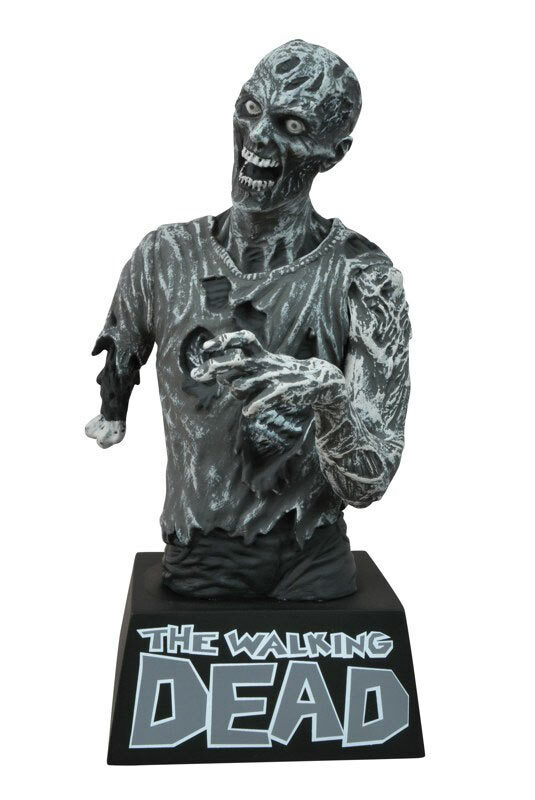 With New York Comic-Con falling just two weeks before Halloween, Diamond Select Toys wanted to have some special horror-themed product to offer visitors to their booth. 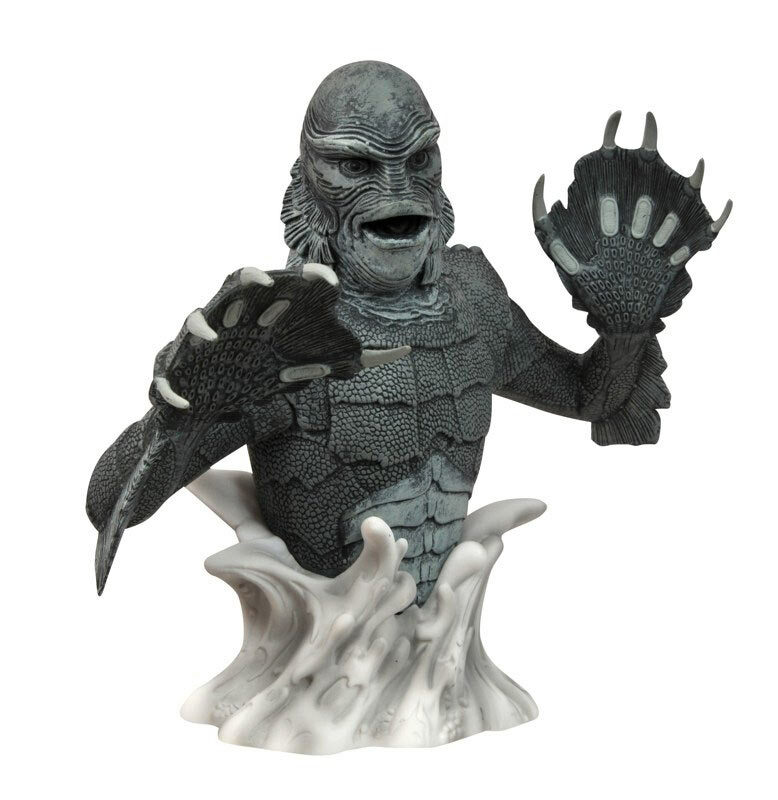 So they took three of their upcoming vinyl bust banks — a Walking Dead zombie and Universal’s Frankenstein and the Creature from the Black Lagoon — and made black-and-white editions based on the original source material! 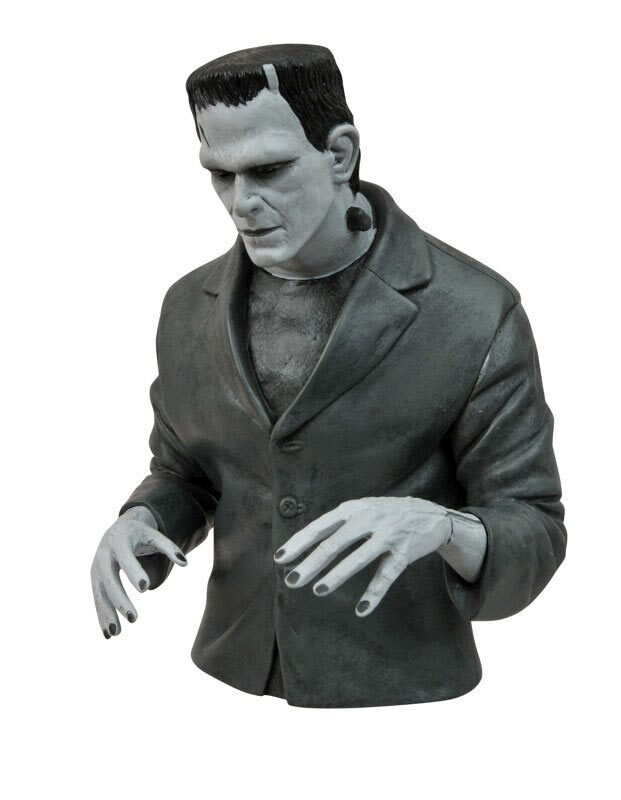 These three banks, each standing around 8 inches tall and made of vinyl, will be sold at NYCC for the first time in limited quantities: 300 of each monster, and 500 of the zombie. Color versions of these banks will still ship to comic shops and specialty stores on Halloween, and the black-and-white editions will be made available to those stores at a later date, as well, but NYCC will be the first place you can get your hands on them! Pick up one, two or all three banks at the Diamond Select Toys booth, #2156, for the low price of $20 each.